It’s wedding season! Yes, once again that time of the year has rolled round and whether you love the opportunity to get dressed up, hit the dance floor and eye up your fellow wedding guests or the thought of sitting through a ceremony, listening to interminable ‘hilarious’ speeches and nodding politely to Great Aunt Edna’s ramblings at the dinner table brings you out in a cold sweat, there’s no escaping the fact that it’s a distinct possibility you’ll get invited to a wedding this year. For most people, and that includes guys and girls, upon receiving a wedding invite, our first thought is either something along the lines of “Yes – an excuse to go shopping!” or alternatively “$@*% – I’ve got nothing to wear!” If you’re honoured to be chosen as a member of the wedding party; best man, usher, ring bearer or the like you’ll probably have the matter taken out of your hands as the bride and groom will decide upon your look but if you’re just one of the rabble and you don’t have a stylish other half to help you get dressed, you might be wondering how on earth you’re going to cobble a half decent outfit together. If you don’t wear suits on a regular basis you might want to grab that one that’s hanging in the back of your wardrobe sooner rather than later and give it a once over. Yes, they can cost a lot of money but men’s suits don’t last forever and if you’ve been wearing yours to every wedding, funeral and court appearance (?!) for the last 15 years it may well have seen better days. Check the seat, the lapels and the elbows in particular for the shininess that indicates, well, that your suit’s next stop should be your local charity shop. If that’s the case and you’re faced with the formidable task of buying a new suit there are a few things to bear in mind before you set out on your quest. First of all fabric: it may be summer but if you’re investing in a new men’s suit you might want to go for a material that can be worn all year round and avoid linen, no matter how warm the weather. Besides linen creases terribly and it won’t be long before you look as rumpled and disheveled as the bride’s drunken uncle Monty. Rule of thumb: stick with wool, or if you can afford, it a wool-cashmere mix. Fit is crucial when buying a suit; tempting as it may be don’t just grab the nearest thing that ‘looks about right’ – after all buying men’s t-shirts is one thing but a suit is an investment. The shoulder padding in the jacket should fit your shoulders squarely and if the pads are drooping or hanging down or there are indentations in the fabric, it’s too big and you need to drop down a size. The cuffs of a suit jacket are one sure fire way to tell if the suit is too big for you. We’ve all seen guys in ill-fitting suits that look like school boys trying to impress in their older brother or dad’s suit. Getting the length of the cuff right is vital if this is NOT the look you’re going for. Make sure that the cuffs hang no lower than the point where your thumb joins your hand. You’ve got your suit but what about your shirt and tie? Contrary to popular belief, you can play around with spots, stripes and checks – just don’t go overboard or you’ll end up looking like a third rate comedian. Men’s shirts in a two-colour way check will look great with a plain suit and a bold striped tie. 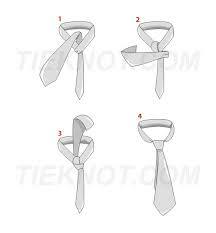 If you go for a stripy shirt AND a stripy tie ensure that the stripes are of different widths. Likewise if you wear a patterned tie with a striped shirt if the stripes are wide make sure your pattern is smaller or more low key – and vice versa. Getting dressed for a wedding doesn’t have to be a complete nightmare and with a few pointers you’ll be able to relax and maybe even look forward to it! After all even the dullest sounding weddings can turn into nights out to remember. Although obviously it does help if there’s a free bar involved. Have you got any crazy wedding stories or formal menswear fashion tips? Why not leave them in the comments or come on over to our Facebook page and share them on there? Sometimes the world of men’s fashion can feel a little bewildering, especially if you have an event or special occasion coming up and you’re not sure what constitutes appropriate dress. Do men’s t-shirts work when worn under a suit? Can you wear shorts with formal shoes? How much jewellery is TOO much jewellery? The conundrums are endless so read on as we lay out six basics that every guy whose mom doesn’t still pick out his clothes for him, should know. 1) This is a hotly debated topic with some hipsters embracing it, but in general, unless you’ve really got a certain way with style, we think that double denim is still a no-no. There are so many other styles for men out there – consider this season’s reappearance of camo for example – that you really shouldn’t have to resort to the denim jacket and jeans look. If, however, you’re a member of an ‘80’s metal band feel free to continue as you were. Too much, Shakin’ Stevens, too much. 2) Do you like to accessorize? Good for you, but do keep accessories in proportion to your size. Bigger guys can get away with chunky chains or wrist cuffs whilst smaller men should downsize a little to avoid drowning themselves. 3) Scored a job interview? Well done, but to increase the chances of actually landing the position make sure your attire is appropriate. And no that doesn’t always mean wearing your best wedding/funeral suit. Applying for a job as an accountant? Of course, keep it smart – although don’t be afraid to add a dash of personality with an interesting tie (and by interesting we don’t mean a ‘comedy’ South Park design.) If you’re applying for a job as a graphic designer in a marketing agency however, you’ll be far more likely to impress if you’re wearing something that lets your unique style and creative flair shine through. 4) Size matters. Do you hate your skinny body? Bulk up with heavier fabrics and avoid baggy styles as these will swamp your frame. If you’re on the larger side though the opposite applies: avoid thick fabrics such as tweed or chunky knits and make sure clothing isn’t too tight as this will accentuate your size. The right amount or a little too much? 5) Got a wedding, function or business conference to attend? 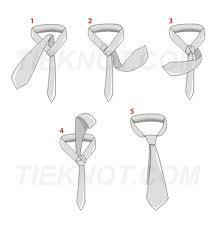 There are a couple of rules associated with men’s formal wear. One; never wear braces (suspenders for you Americans!) and a belt at the same time – it looks way too much. 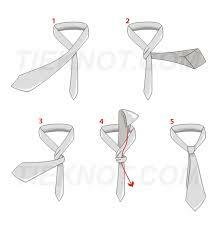 Two; your tie should just touch your waist line or belt. Any shorter or longer and it looks like you’re wearing a comedy tie. And three; for those really dressy events that require evening dress or a tuxedo – sorry but your work tie isn’t going to cut it. We’re talking bow tie territory here, guys. 6) Know what colours suit you. If you’re pale you’ll look drained if you wear men’s t-shirts in pastel colours or white so try something with a little more oomph such as an earthy brown, maroon or navy blue. If you’re dark skinned or tanned, darker colours can be a little ‘samey’ so try picking a tee in sunshine yellow, pale blue or a classic white men’s tshirt. Men’s style doesn’t have to be tricky to get right and with just a little care and attention you’ll find that your confidence will improve as people start to take more notice of the new, sartorially improved you. Got any great, basic style tips? Why not share them in the comments box? And don’t forget to check out our website for our forthcoming range of urban men’s t-shirts.